To take the plunge and have a new garden designed for you is a big step. It has many advantages though, not least of which is your chance to be involved and incorporate some of your own ideas into the garden design process. The whole point of your newly constructed garden is that with more of the new features that you want incorporated into it you should feel not only eager to be out in it and get more use from it but be comfortable in your new surroundings. 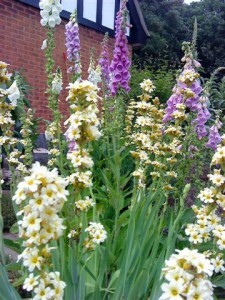 The planting within the garden can influence this to a large degree. Once the plans have been drawn up and agreed upon a schedule for the build time can be worked out quite easily. But of course gardens aren’t just about slabs and pergolas it’s important to consider the plants. 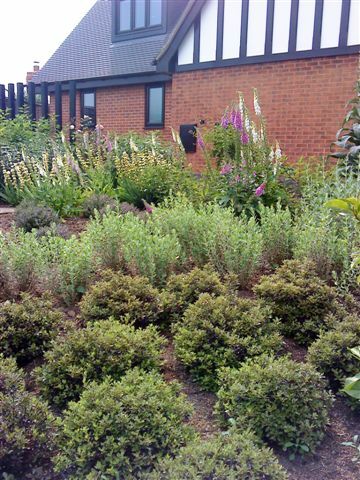 Some gardens may already contain some mature planting that can be left in place not only to help with screening and being overlooked but also to retain a strong sense of identity and to provide structure to the garden. However not everybody will have this luxury and you may wonder how long you might have to wait for your garden to grow out of it’s ‘brand new’ phase and for the plants to mature and flower. Generally it is best to have a mix of different sized plants to stagger the growth. It is well worth investing in some semi-mature trees to give height; these can be bought in any number of sizes up to and over 4-5metres. A multi stem birch with glorious white bark for winter interest at around 3m tall can cost up to £185 but is well worth the money as you are buying the time that tree has already been growing to achieve an instant effect. A few larger shrubs especially the evergreen types are also useful to give the garden some solid structure. They help to disguise boundaries and hide unsightly areas, bins, oil tanks sheds etc. If the planting plan calls for a number of perennials the choices are a little more complex and to a certain degree demands a knowledge of their habits, which we can help with. It might seem a good idea to get the biggest of them to get ‘instant’ effect but it doesn’t always work that way. A small perennial in say, a cheaper 1litre pot can be more vigorous and establish quicker than it’s more expensive equivalent in a 3 or even 5 litre pot which would possibly resent the disturbance when planted. Quite often the smaller plant especially if it’s a quick growing type will have caught up with its older cousin within a couple of years or less. A plant like a foxglove flowers best in its second year so in that case, in order to get continuity of flower two sizes of plants, 1 year old and new younger plants have to be put in at the same time! It is perfectly possible to achieve a fuller planting effect in your new garden after just one year. But patience, they say, is a virtue and a truly mature garden may take just a little bit longer to achieve.